Writing about the quest for authentic food and local specialities in Peru would not be complete without talking about Peruvian Pisco Sour. The Pisco Sour is considered the national beverage of Peru and it even has it’s own National Holiday. National Pisco Sour Day is celebrated on the first Saturday in February. This year (2016), the holiday will be celebrated on Saturday, February 6th. If you can’t make it to Peru to celebrate the national holiday, try this speciality at home. Read below for how to make one yourself, or seek it out at a bar close to you! On February 6th, let’s all celebrate this national drink wherever in the world we may be. Pisco Sour is a cocktail that originated in Lima, Peru. It was invented in the early 1920s by American, Victor Vaughen Morris, a bartender working in Cerro de Pasco, a city in central Peru. In 1916, he opened Morris Bar in Lima and it quickly became a popular spot for Peruvian upper class and English speaking foreigners. The Pisco Sour underwent several changes until Mario Bruiget, a Peruvian bartender working at Morris Bar, created the modern Peruvian recipe in the latter part of the 1920s by adding Angostura bitters and egg whites to the mix. As the name suggests, Pisco, which is a clear grape brandy is the main ingredient in this cocktail. The Peruvian Pisco Sour requires the use of Peruvian Pisco as the base liquor and the addition of lime juice, syrup, ice, egg white, and Angostura bitters. Chile also claims the Pisco Sour as it’s national drink. There is much controversy between the two countries who each claim to be the birthplace for the Pisco Sour. We tried our first Pisco Sour in Chile and right away got a sense of the rivalry between the two countries. Even in Peru, everywhere we have enjoyed Peruvian Pisco Sour, there have been references made to the differences of the cocktail in the two countries. The Chilean version of the Pisco Sour is similar, but with a few notable differences. In Chile, Pisco Sour is made with Chilean Pisco, sugar instead of syrup, and it excludes the bitters and egg whites. Regardless of where it was invented or by whom, this cocktail remains a classic and one that should be experienced. 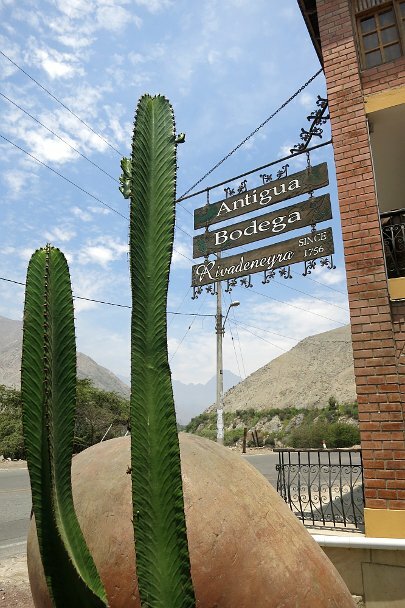 Many of the Peruvian bodegas where Pisco is made, are located in the South of Peru. 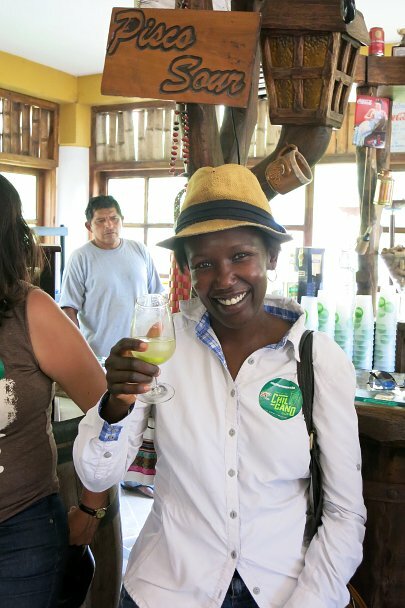 In 2004, the Peruvian Tourism secretary instituted El ruta del Pisco or the official route of Pisco to visit the bodegas that makes Pisco and Pisco Sour Peru’s national drink. 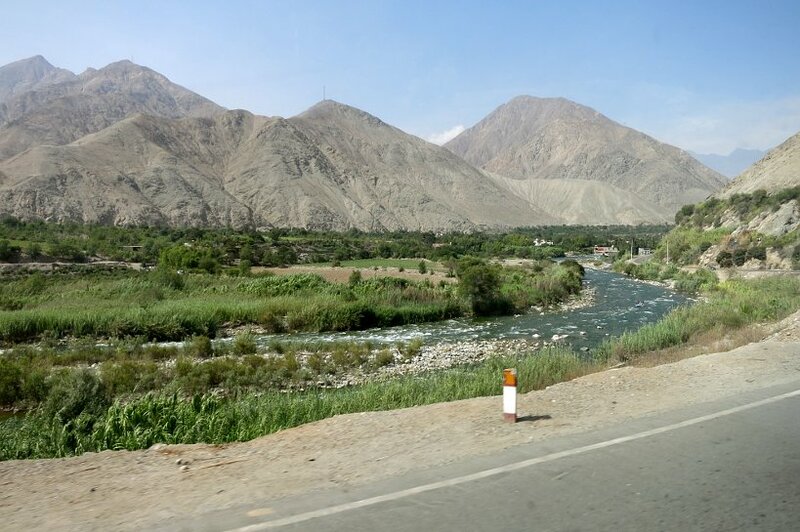 The route starts in Lima and goes all the way to Tacna in the South of Peru. We had the opportunity to visit Rivadeneyra, one of the oldest Pisco wineries, about 3 hours South of Lima, in a town called Lunahuana. We were invited by our friend Cecilia Portella Morote, a Gastronomy critic in Peru. This trip was organized by Prensa Tur, a magazine about Travel and Tourism in Peru. 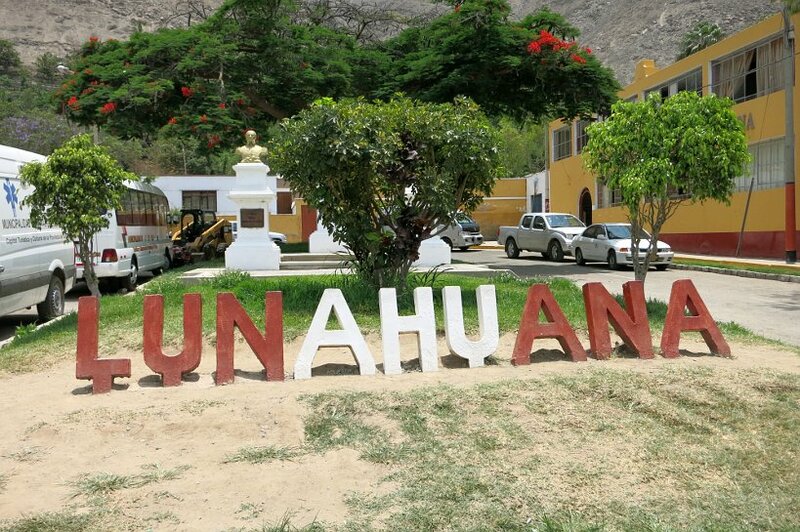 Lunahuana is a popular destination not only for Pisco, but also for the landscape and a place to enjoy outdoor activities such as whitewater rafting, hiking and more. Bodega Rivadeneyra is a family owned bodega that was created in 1756. We had the chance to meet with Julio Vidal Rivadeneyra, the owner who personally gave us a tour of the bodega. The unique characteristic of this bodega is that it makes a point to preserve its traditional and artisanal production process. 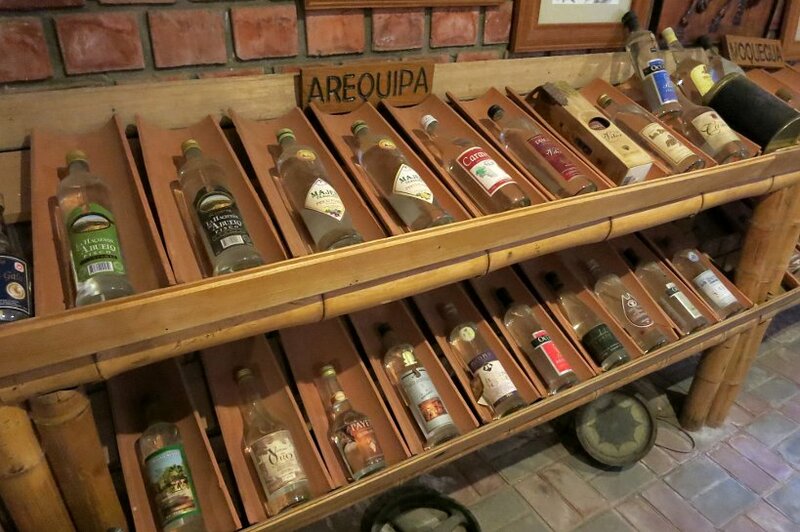 It also has a Pisco museum or Museo del Pisco which exhibits the different Pisco bottles from bodegas of the Pisco regions including Lima, Arequipa, Tacna and Ica. As Julio walked us through the Pisco making process, we learned that it starts at harvest, usually between February and April. Once harvested, the grapes are transferred to the lagares which are deep basin where the grapes are pressed manually. Every year, the bodega celebrates the fiesta de la vendimia or the harvest celebration. 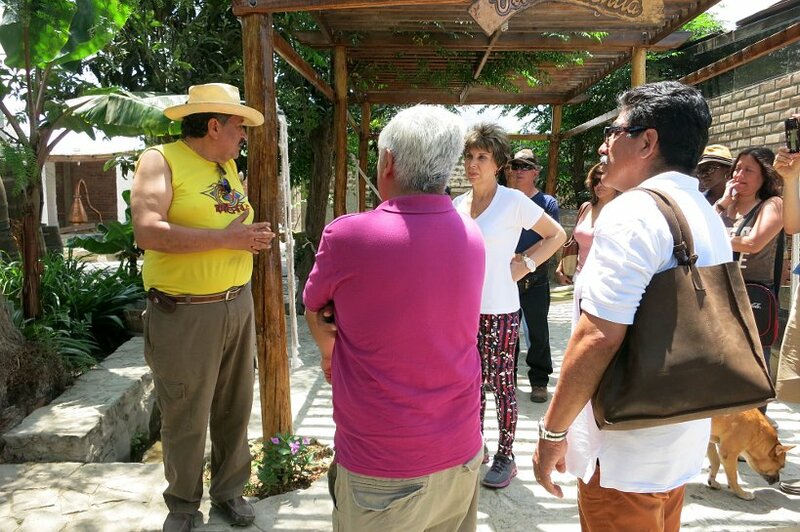 People from the region as well as tourist come to the bodega to participate to the process of pressing the grapes by foot in deep basins. 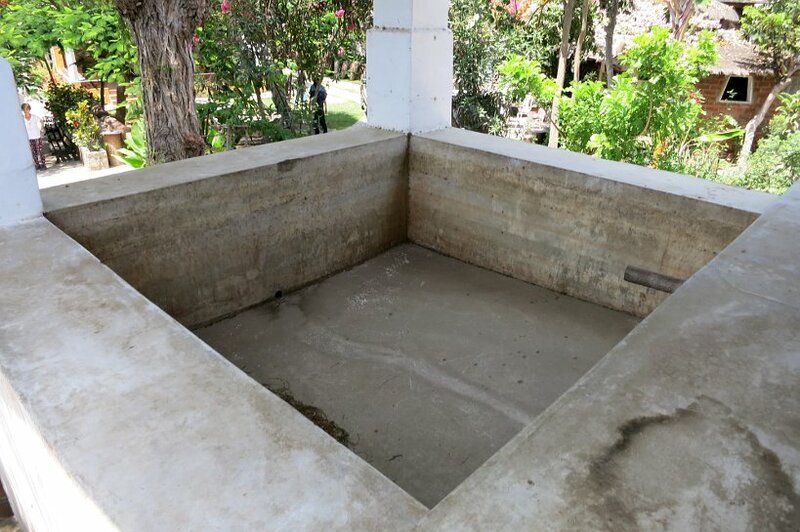 After the grapes are pressed, the juice is filtered and then goes to fermentation for ten days to two weeks in botijas or pisqueras which are large adobe containers. After the fermentation, the distillation process is done in large alambics. 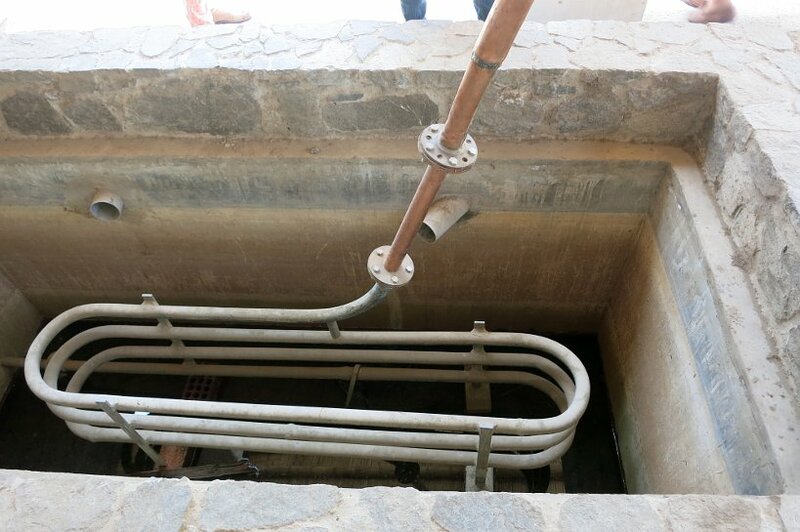 The alambics are heated up by ovens located underneath providing a steady heat for a better Pisco flavor. Once the fermented juice heats up, it is cooled down in water pool covering the serpentine coil. The resulting condensated liquid that leaves the coils is Pisco. 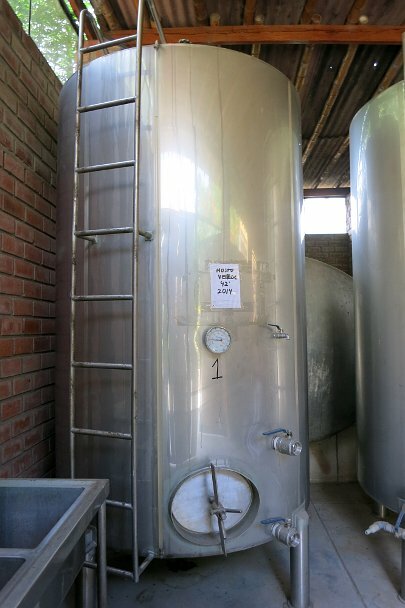 The Pisco is then kept in large tanks for at least 6 months before being bottled. According to Julio, it takes about 10 kilos of grapes to make one liter of Pisco. Pisco Puro: this Pisco is made exclusively from just one type of grape varietal – the most popular being the Quebranta grape varietal. At Rivadeneyra they make it using a non-aromatic grape, called Uvina (coming from the valley of Lunahuana). This is the perfect Pisco for a Pisco Sour. 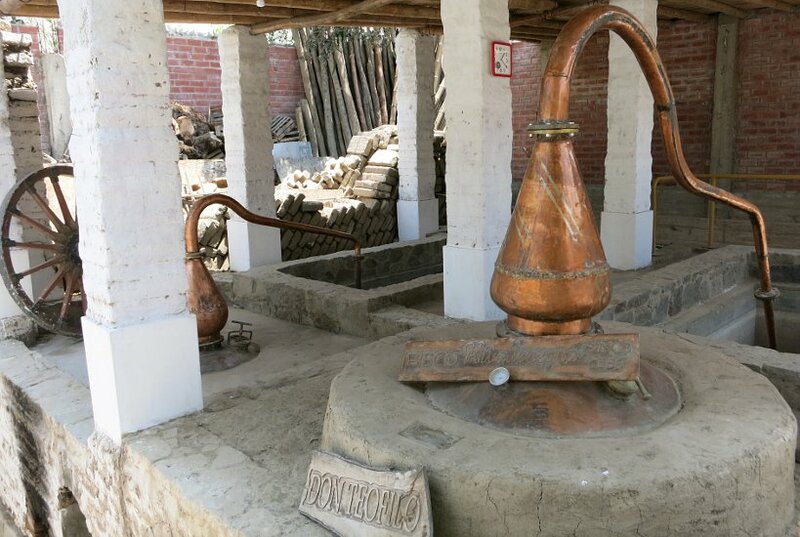 Pisco Mosto Verde: what’s unique is the distillation process. The Pisco that is made with the green must of the grapes which are taken to distillation before finishing the fermentation process. This results in a smoother, more velvety tasting Pisco. However, this requires twice the number of grapes that a Pisco Puro takes. 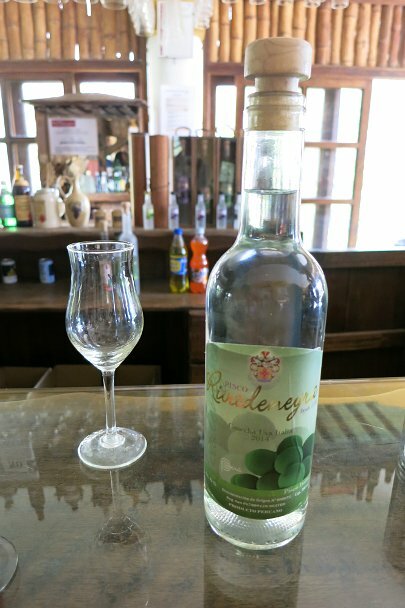 Rivadeneyra makes the Pisco Verde Italia. Pisco Acholado: this is a Pisco made with a blend of two or more types of grapes. 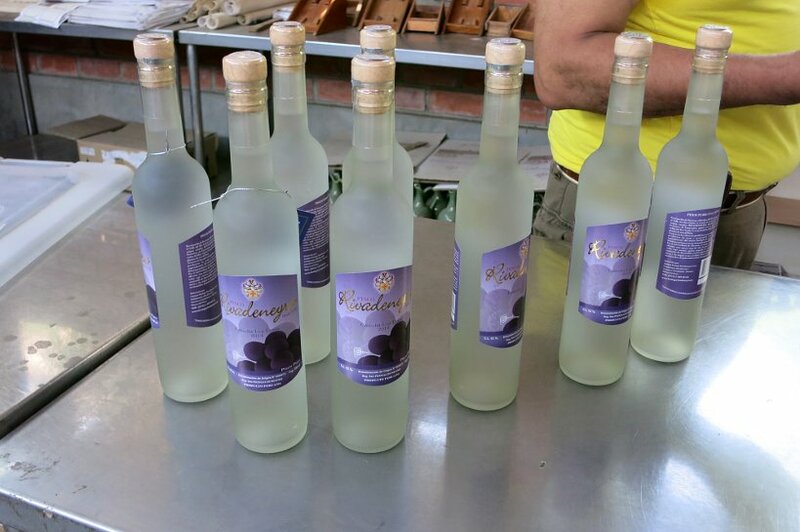 Rivadeneyra makes a Pisco combining 60% of the aromatic Italia grapes and 40% of the non-aromatic Uvina grapes. Pisco Aromatico: this is a Pisco made from aromatic grapes which tend to be floral and fruit forward, providing an enhanced sensory experience. 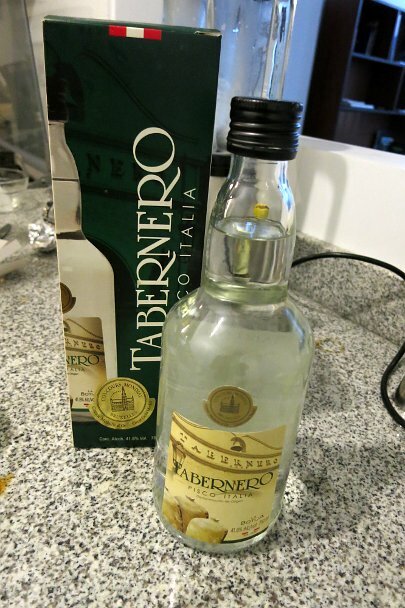 Italia and Moscatel are favorites for this type of Pisco. Rivadeneyra makes the Pisco Italia which has an aroma of flowers and fruit. 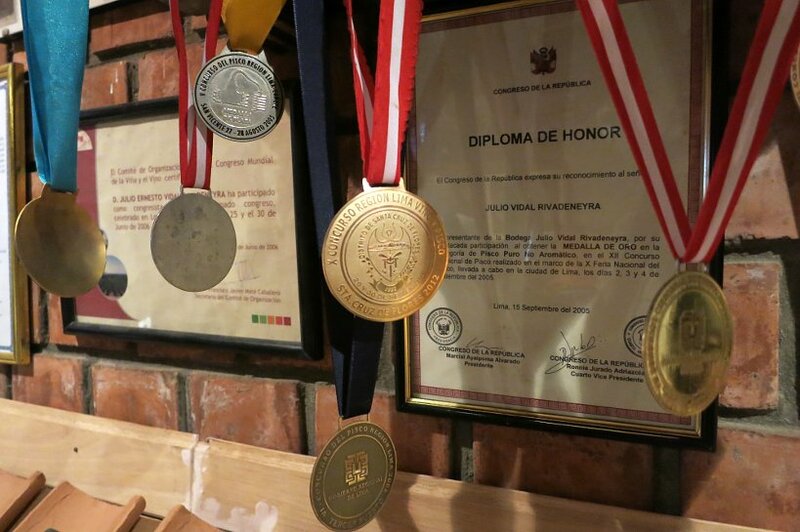 Bodega Rivadeneyra has an impressive list of prizes they received from various competitions. We had the opportunity to try their Pisco Italia which was really fruity, smooth and really delicious! Pisco Sour is easy to make and often shared amongst friends. This elegant cocktail is usually consumed before meals and is a very popular option at Happy Hour. In the streets of Lima you will find many restaurants and bars offering special discounts for Pisco Sours. We are staying in the Lince distritos (neighborhood) and our Airbnb host, Patricia and her boyfriend Enrique kindly decided to make us Pisco Sour and a typical Peruvian dinner. We will write about the meal in a future post, but for this post, we want to focus on the simplicity of this delicious cocktail. 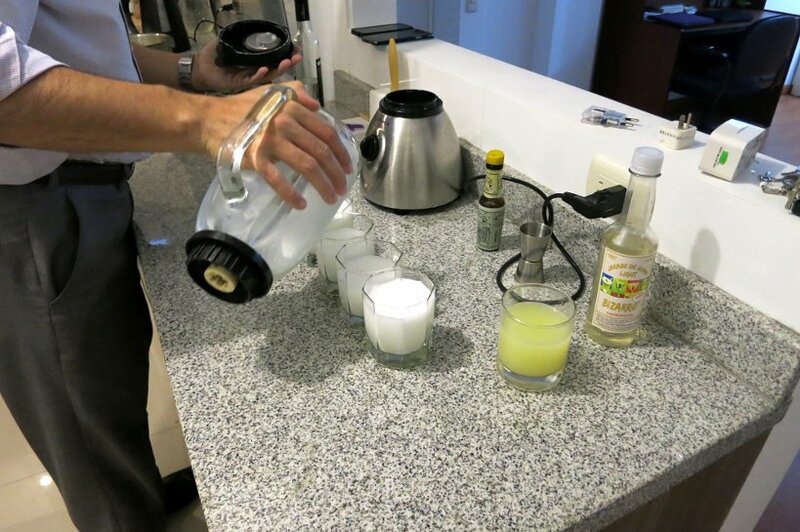 Enrique, being a self-proclaimed Pisco connoisseur taught us how to make the very simple Pisco Sour. It takes only 5 ingredients and a blender to make this magical cocktail – Pisco (Quebranta varietal), fresh lime juice, simple syrup, egg white and Angostura bitters. The first step is to separate the egg white from the yolk. Then place one egg white into a blender and mix it with ice. Enrique’s preferred ratio for 4 people, is is to mix 6 part Pisco, 2 part simple syrup (Jarabe de Goma), 2 part lime juice and blend with ice. Once served, each glass is topped with 3 drops of Angostura bitter, which apparently is used to get rid of the egg taste. The video here is Enrique teaching us how to make the perfect Pisco Sour, with Rosemary attempting it as well. Pisco Sours are delicious. They are subtly sweet and cool and refreshing for the heat of the long summer days. One thing to watch out for is how strong they are. The alcohol content in a Pisco Sour is between 38% and 48%. The fine balance between the intense citrus lime juice and sweetness of the sugar syrup makes it very easy to drink. Be careful and be warned, too many Pisco Sour can knock you off your feet! 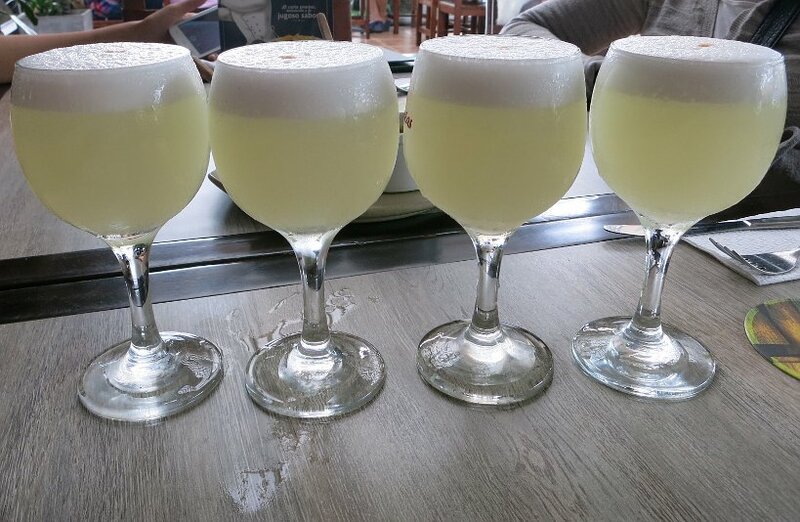 There is no shortage of places to try a Pisco Sour in Lima. Not being connoisseurs of this National beverage, we asked a few limeños (people from Lima) for their top favorite places and we have compiled this list for you. Be sure to check out these places on your next trip to Lima. Antigua Taberna Queirolo is also known as “El Queirolo”. This always busy bar is located few blocks from the Museo Larco and the Museo Nacional de Historia en Pueblo Libre making it a nice stop before or after the museums visits. Gran Hotel Bolivar has a great view over the Plaza San Martin. Go there for it’s historical feel and their classic Pisco Sour called La Catedral: a double sized Pisco sour. 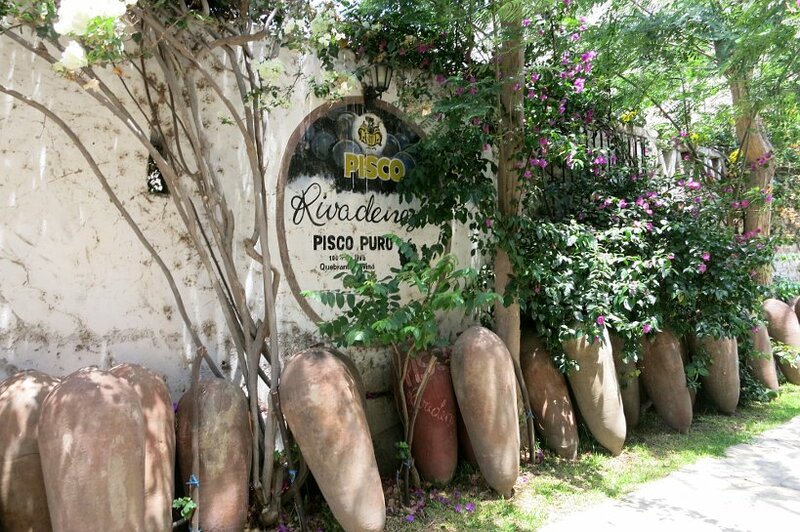 Pisco bar, this bar in Miraflores was recognized as the best bar for Pisco by the Oenologic Club Magia del Pisco in 2015. Superba, this is a very quaint and nice bar in San Isidro near where we are staying. It has a bistro feel that we like with amazing food and a nice selection of artisanal beers. 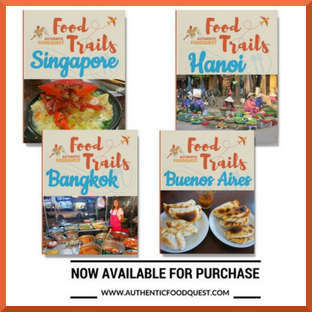 When you visit a new country, one of the best ways to make the most out of your experience, is to enjoy the local specialties. In Peru, the Pisco Sour is the national signature cocktail and one that must be experienced. It is absolutely delicious, complex and strong. Whether you get to taste your first Pisco Sour in Peru or Chile, it really doesn’t matter. 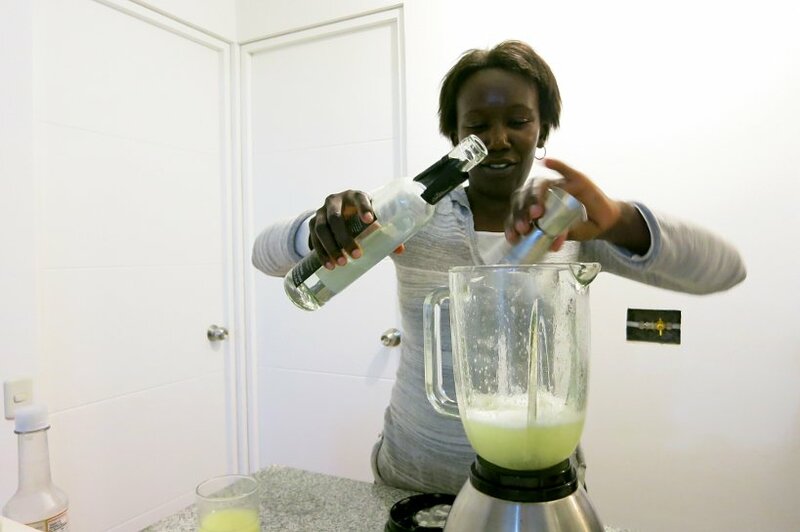 People on both sides of the border are making Pisco Sours with passion and care. There is much care given to the vines, the terroir and the cocktail. Just do yourself a favor and indulge in this cocktail. On February 6th, 2016 celebrate Peru’s National Pisco Sour day and make or order a Peruvian Pisco Sour! Bodega Rivadeneryra, Uchupampa Alta Km 44.5, Lunahuaná. Pisco Bar, av. Petit Thouars 5390, Miraflores, Lima. Superba, Av. Petit Thouars 2884, San Isidro, Lima. Antigua Tarberna Queriolo, Avenida San Martin 1090, Pueblo Libre, Lima. Gran Hotel Bolivar, Plaza San Martín, Jr. de la Unión 958, Lima. This is a totally new thing for me. Never had heard about the Pisco Sour! 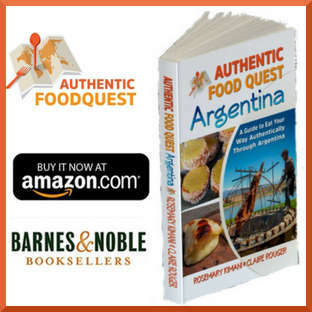 You have really given a beautiful narration of your quest to find the ways how Pisco is made…the simple recipe…and everything…loved the way you have narrated your experience too…. Thanks so much Bilna for your comments. Glad that you enjoyed the story telling and narration approach for the Pisco Sour. 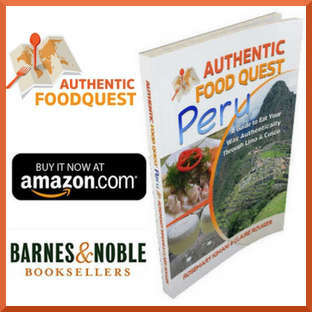 If you have never heard about it, try it out at a Peruvian restaurant near you. This cocktail is delicious and one that should be experienced. Let us know what you think of it after you’ve tried it:) Cheers!! The bodega looks fascinating. Loved to see how it’s been produced and valued as national cocktail. And oh, the good thing it everyone can easily do it at home. Cheers! Hi Jessica, thanks for your comments. Yes, the bodega was a lot of fun. It was our first time seeing the production process of Pisco and we learned a lot. It is a very popular cocktail with it’s own national holiday coming up in February. Cheers!! 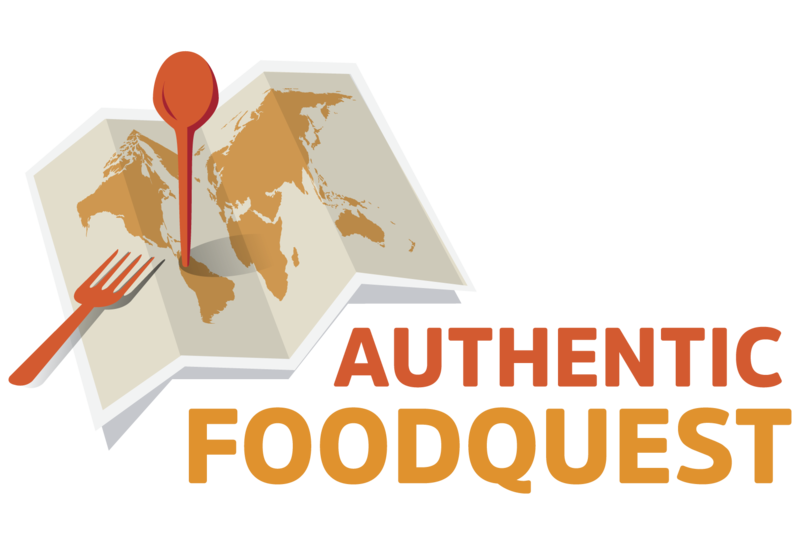 Agree…the food and drink of a place are important to understand the culture and locals. The Pisco Sour is really good…do watch out though it’s easy to drink and quite strong. Try one out at a Peruvian restaurant near you…you will not be disappointed. Cheers! Thank you Jenna! We’re happy to share the good stuff 🙂 Cheers in advance! Hi Gemma, making Pisco is quite an art! And Pisco Sour is a perfect drink to share with friends. Cheers! A fascinating post I must say, motivates me to visit Peru and taste this wonderful drink. Appreciate the way in which you have detailed the entire distillation process. Thank you! Glad you liked the Pisco traditional distillation process. Quite fascinating! You will not be disappointed visiting Peru. There is so much to see from the Amazon to the Incas ruins. Cheers! This looks like such a fun place to be in. Seriously!!! Lima and Peru in general is a great country worth visiting. Beyond the natural beauty, the food and drinks are amazing. Plan a visit if you can. You will have fun! cheers! Just discovered your blog and love the concept. 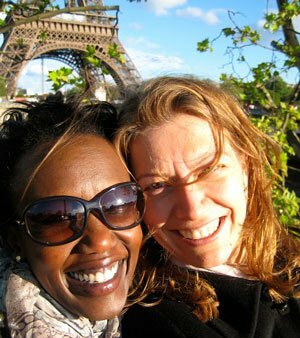 This post is particularly fascinating and the accompanying photos made me feel like I was there! Makes me want to visit Peru ASAP! Thanks Emma. Glad you enjoyed the post and the pictures. Peru is truly a wonderful place to visit! Such a great experience! Thanks for sharing this informative post! It’s really nice to know how this delicious authentic Peruvian Pisco Sour came from and how it is made. I can say a really nice place to visit. Glad you enjoyed the article. 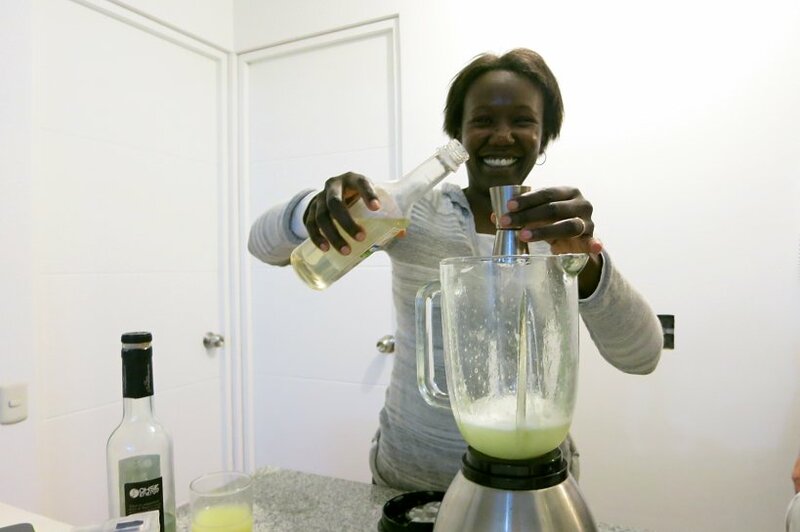 Learning how to make the national drink of Peru – the Pisco Sour, was an incredible treat! I have not been to that part of the world yet, but I must say, it is high on my list. It looks delicious, and the process looks fascinating. Just awesome. I am not sure how many you tried, but that sounds like one hell of an alternative pub crawl. 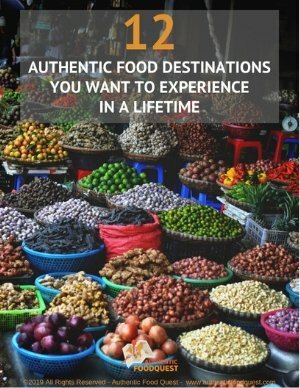 Peru is an incredible country to visit and the food and drinks are divine. If it’s high on your list, definitively recommend. The Pisco Sours are everywhere and you don’t need to look to far to try them. Thanks for stopping by! I have to admit, I never even heard of Pisco Sours and now after reading this I want to try it! Very informative post and I love the way you have written this. Pardon my ignorance but I really hadn’t heard of The Pisco Sour before! 😐 WOW! A Pisco Sour day is celebrated! Wow! Such an interesting story behind the drink and it is interesting to see how two countries are trying to claim it 😀 So nice that you got to visit a winery and take the tour!The place looks stunning! 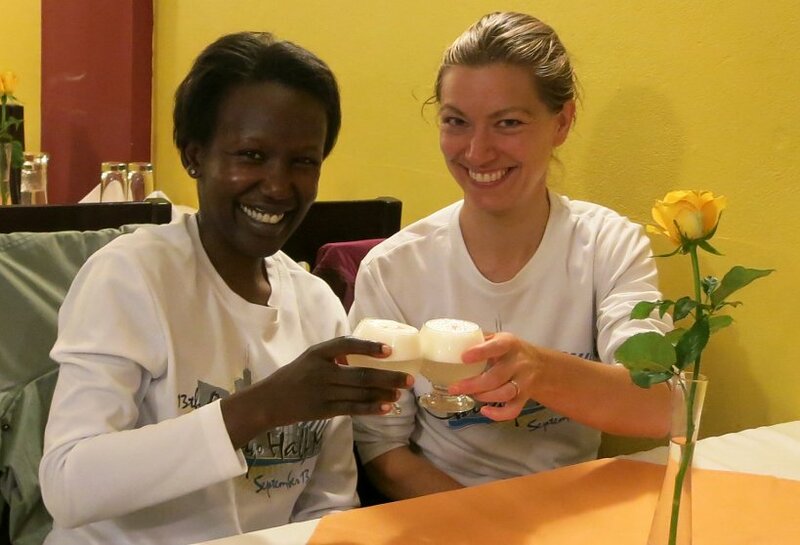 Thanks for sharing such a wonderful local experience with your readers! I learnt something new today! So glad you enjoyed the article and learning about Pisco Sour. It is the national drink of Peru and it is quite revered. No worries about not knowing about it before. Now that you do, the next time you eat at a Peruvian restaurant, don’t hesitate to ask for a Pisco Sour. Cheers! I don’t think I have ever had a Pisco Sour and now I want one.. I am about to go meet a client for a drink and I am going to beg the bartender to try and make one. The egg will probably prevent me from getting it but if not here, when I get home!! Don’t let the egg in the Pisco Sour turn you off. You can barely taste it!! Give it a shot and you’ll be surprised how much you will like it 🙂 Thanks for stopping by. This post is indeed a tour de force on the National drink of Peru. The history and origins of the Pisco Sour make for some fascinating reading. I liked the part about the distillation process and how the drink finally finds its way into sparkling glasses. I had read about Pisco Sour earlier but had a lot of questions about it, but this post answers all my queries. Very informative and interesting post. So glad you enjoyed the article Sandy. Now, it’s time to drink and savor it. Cheers!! I have fond memories of going to Pisco on my 1st wedding anniversary, and trying a Pisco Sour in the “home region” I love that you went to a Pisco winery. 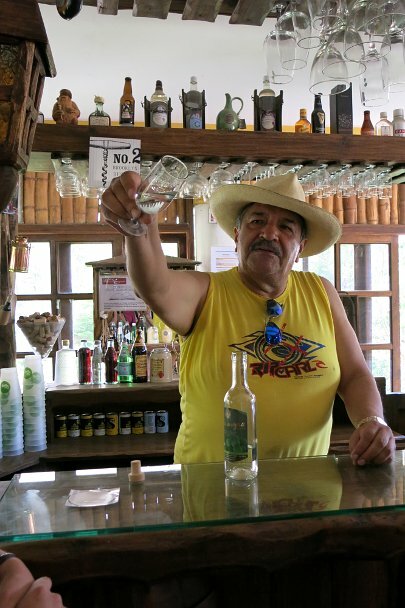 I worked in the spirits industry for many years, and It is great to see there is a process, regional differences, quality and traditions associated to distilling Pisco and award-winning products! Great post! Thank you so much Dorene. So glad this article took you back favorably down memory lane. It was our first experience at a Pisco distillery and it was fascinating. A great drink and a fascinating Peruvian history. Thanks for stopping by, Cheers! I could not have imagined that you need eggs for making Peruvian Pisco Sour!! Pretty interesting to learn the process and to visit a bodega. It is such a refreshing cocktail, isn’t it. Indeed Medha, a delicious cocktail with a fascinating history. The egg is one of the elements that distinguishes it from a Chilean Pisco Sour. The taste differences are subtle and enjoyable in either country. If you haven’t tried one, we highly recommend it. You’ll be delighted. Cheers!